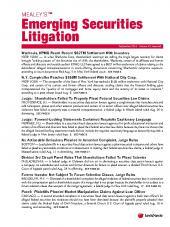 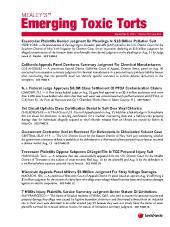 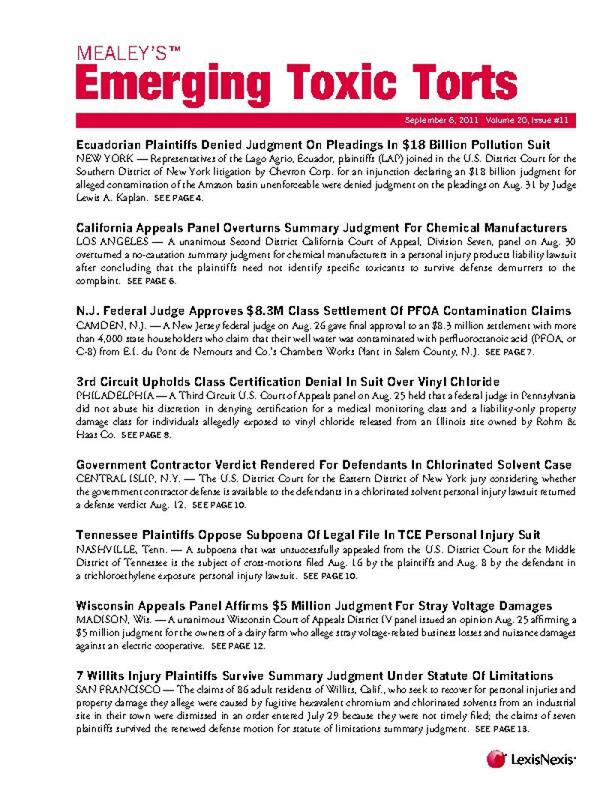 Twice-monthly newsletter on litigation stemming from exposure to chemicals and other toxic substances. 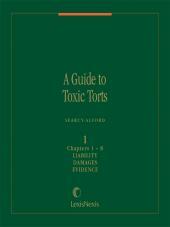 Mealey's Emerging Toxic Torts focuses on the hottest area of toxic tort litigation, including chemical sensitivity; indoor air quality; groundwater, soil and air contamination; hydraulic fracking; BPA exposure; radiation; workplace exposure; pesticides; solvents; PCBs; gloves; EMFs; endocrine disruptors, and more. 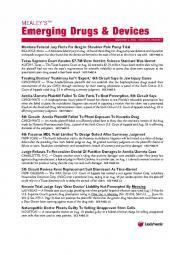 It provides in-depth coverage of medical monitoring; fear of cancer/disease; stigma damages; expert admissibility; federal preemption; class actions; punitive damages; and market share theory.